Ideal Lending Solutions, a division of American Financial Network is a Direct Lender with delegated authority to underwrite, fund and service Conventional, Fannie Mae, FHA, USDA, VA, and Jumbo loan products in house. Federally backed loan for up to $417,000, offered at competitive rates with fixed terms available. 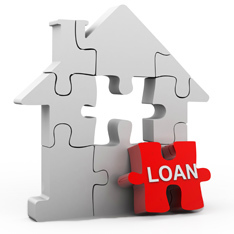 Down payment assistance may be available for qualifying borrowers. Purchase with as little as 15% down with a Non Conforming Jumbo Loan. Available for properties valued greater than $417,001 and up to $3 million. FICO’s as low as 680. Purchase Fannie Mae eligible real estate owned properties for as little as 5% down and no appraisal fees or premium mortgage insurance required, For eligible properties visit: www.homepath.com. Foreign Nationals can purchase up to $3M on primary residences. No credit score required unless available.. If available, minimum FICO of 680 required. Veterans and surviving spouses can finance up to 100% of new home’s value up to $417,000, with no money down, no appraisal fee, and no private mortgage insurance premium (PMI). Qualified borrowers can purchase a designated USDA rural property up to 100% loan-to value with no down payment. Flexible credit guidelines apply. Pay for home repairs before you move in when using the FHA 203(k) Streamline Rehabilitation loan. Funds available up to $35,000 and take up to six months to complete the work.